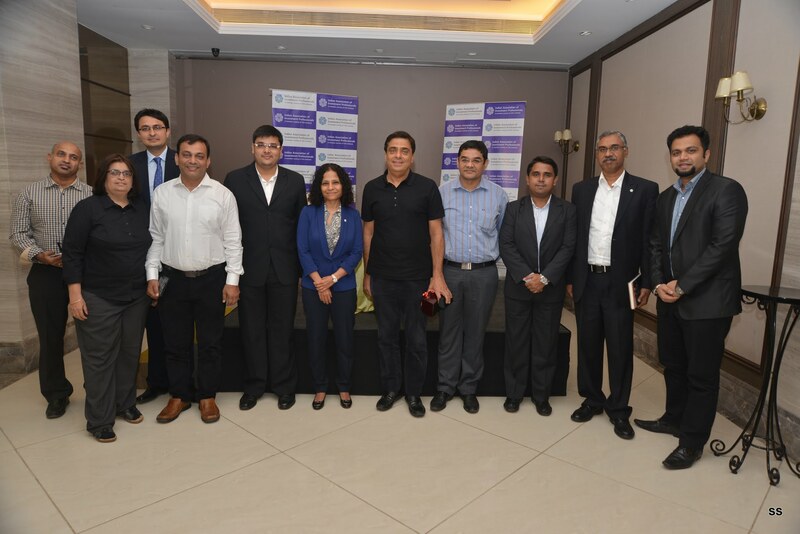 The Mumbai chapter of IAIP hosted Ronnie Screwvala on 11th December for an event titled ‘Dream with your eyes open’. The event was structured in the form of a talk show hosted by Sonia Gandhi, CFA. Ronnie, post his very successful stint with UTV, has focussed on three major business segments: Sports focused on kabaddi, moto sports and football; Education focused on niche skill development through online medium and Swades focusing on empowering rural India. Ronnie started with detailing his journey as an entrepreneur and also shared his thoughts about entrepreneurship. He opines that most people who want to venture into entrepreneurship hold themselves back due to fear of failure but missed opportunities should also be considered as failure. In India, families are also unlikely to be supportive since venturing into own business is looked upon as a result of lack of stable job opportunities and poor education which will lead to income uncertainty and below average life style (at least in the initial years). To be an entrepreneur, passion, curious mind, clarity of thought and willingness to work hard are most essential. Effective communication and good listening skills are also important. Domain expertise can be achieved over time as long as the above skills are present. Citing multiple setbacks in his initial years, he mentioned that humour and laughter are also critical traits. An entrepreneur should also have self-confidence and conviction in his pursuit. He has to inspire his colleagues and respect them. It is important to instil cohesive work culture and direct communication between key personnel. Initially, Ronnie didn’t know what he wanted but one thing was clear – he wanted to be an entrepreneur. His experience of theatre and media improved his communication skills and instilled the importance of collaborative work. He believes that one should have multiple plans during the planning stage but once a plan is made, he/she should stick to it even when the going gets tough. During difficult times, an entrepreneur has to focus with rigour and in a laser-sharp manner. Ronnie believes in constant need to innovate, adapt and improve on what is already achieved. Ronnie also spent some time detailing his current ventures. He mentioned that he is re-staring this career with good experience and grey hair. His current focus is on high impact, disruptive plays with scale. Sports venture – kabaddi league – changed the whole concept of kabaddi; moving from mud court to mat court, grooming players helped increase popularity. Kabaddi league boasts of 30% women viewership as compared to 10% in cricket. Online education – training people for niche skill sets for which university courses are not available but are extremely relevant in today’s business environment. Social – Swades – making rural youth employable through trainings focused on technical and other skills. Ronnie concluded an insightful session by answering questions from the audience. This entry was posted in Mumbai, Speaker Events and tagged Aditya Jadhav CFA, Anil Ghelani CFA, Archit Lohia CFA, Biharilal Deora CFA, Dream with your eyes open, IAIP, Jainendra Shandilya CFA, Jayna Gandhi CFA, Kishor Bagri CFA, Kunal Sabnis CFA, Pro Kabaddi, Ronnie Screwvala, Saurav Mishra CFA, Shreenivas Kunte CFA, Sonia Gandhi CFA, Swades Foundation, UTV, Vidhu Shekhar CFA. Bookmark the permalink.